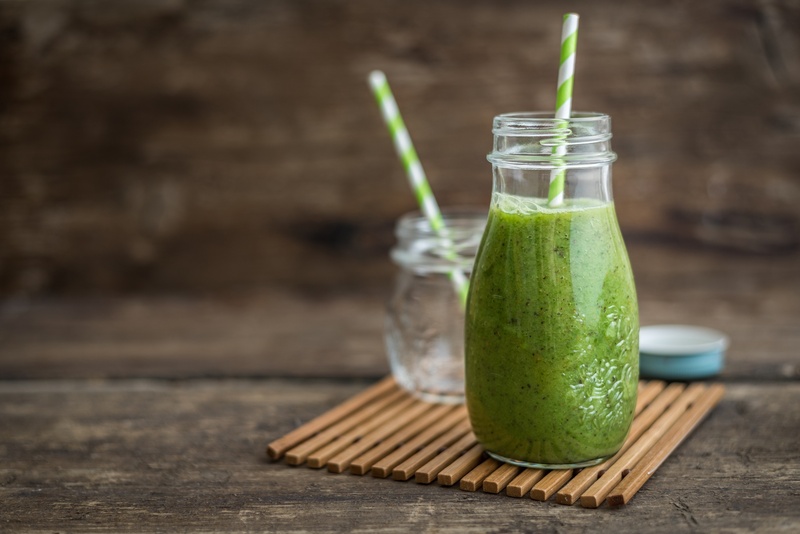 The purpose of this smoothie is to help jumpstart not only your transformation into eating healthier, but to also get your day started in a fresh and vibrant fashion. This is the basic template and you can vary it some each day by using a different fruit, a different flavor vegan protein, or other veggies. In the future, this formula will evolve into an everyday smoothie with a more complete food profile. For those who have been dependent on any form of starchy carbohydrates or simple sugars (like cold cereals) for breakfast, it’s common to experience some discomfort as your body and brain adjust to the lack of sugar as it’s primary source of energy. Any discomfort may last for several days before you get used to it, and if it lasts longer, you may want to discontinue or consult your doctor. One other caution: this is simply a meal replacement for breakfast and should not be consumed for other meals during a detox. At those times, you should be eating whole, real, lean proteins with a rainbow assortment of vegetables. Have this smoothie every morning for breakfast for 7 days. Do not add additional fruit. Have no more than 3 fruit servings in a day. The phytonutrients and antioxidants from the vegetables and fruits will stimulate the liver to ramp up its detoxification efforts. As a result, it is normal to feel more tired/sluggish and have headaches until your body adjusts. It is important to drink plenty of water to stay hydrated and help flush toxins. Cheers to a healthy New Year!